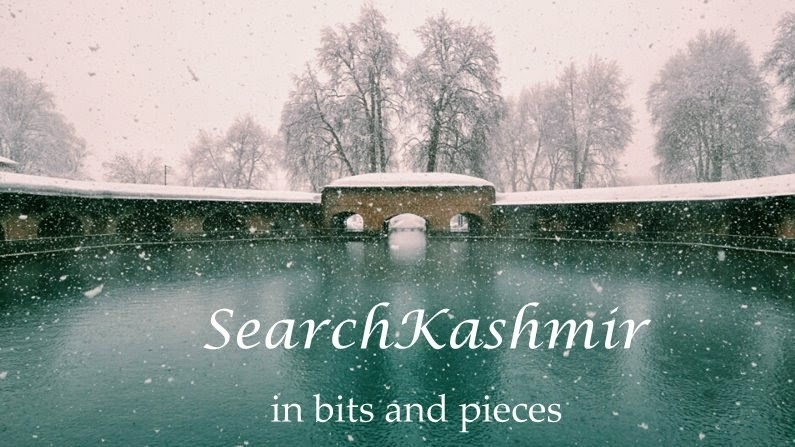 In Greater Kashmir, we read the remaining Pandit families of Tral are collectively mourning Wani who, with a broad brush of humanity, we are told, as a kid was quite a joker. Maybe the poor people have not choice but to say that. After all, they accept their “protectors” are their neighbours and not the government supplied police post next to their house. Or maybe, they do really feel bad. Or may be both. Meanwhile, BBC Hindi reported the strange case of a man named Jagannath, who had left Kashmir in 1990 but returned home in 2007. In recent violence, his house was pelted with stones and his wife received head injuries. The old man is again preparing to go into “self-exile”. May be would not leave. Maybe, like it is often happening these day, someone else would visit the place and we would hear that the entire news is wrong. All is fine with Jagannath. He momentarily lost sense. It was nothing personal. Violence was everywhere. We are all one in our pain. 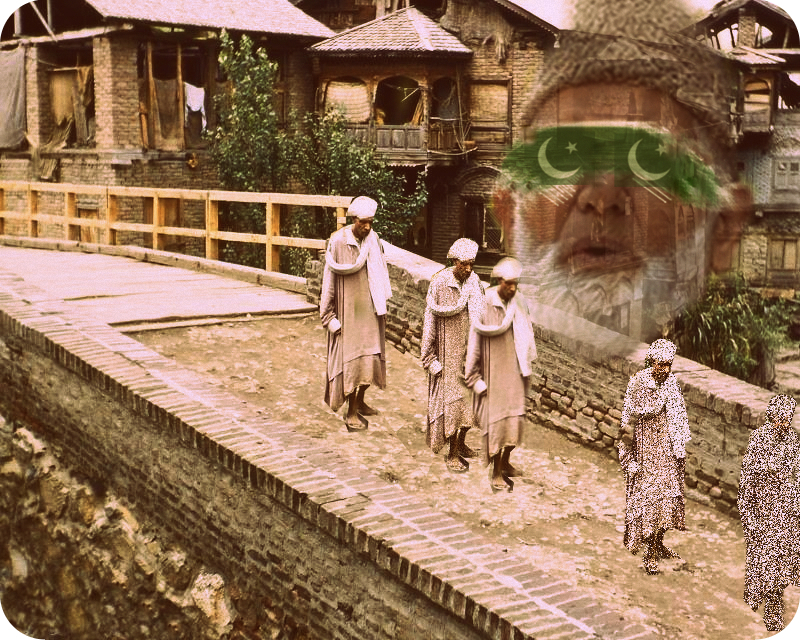 Pain the new binding glue of Kashmiriyat. Maybe, Kashmiriyat was just that. A quick “fix-it” to put together a broken glass. 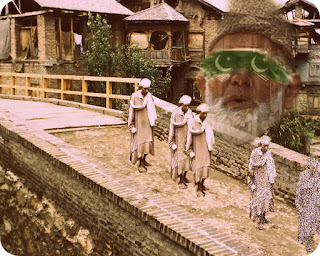 So what is happening to pandits in Kashmir. Answer is simple: like other Kashmiris, they too are chess pieces in a great game. There are people who would not see the writing on the wall, instead, choose to whitewash the entire wall. Often facts are spun in a way they would make the “tehreek” kaleen look all clean, if not to a local buyer, certainly to a global buyer of great Kashmir conflict narrative factory. These are the opening lines of an unsigned piece titled “Pushed Out?” from respected left journal EPW published in 24 Nov, 1990. Here, I would like to disclose, in November 1990, my family was living in Jammu on rooftop in a single storeroom after leaving Kashmir in March. Much water has flown down Jhelum since then, I have tried to count the waves moving from cities all around India. For past few years, I have been contributing my writings to EPW. So, I have some idea how seriously they take their work. Naturally, it makes me wonder how something like this got pushed there? The answer is not difficult to understand. Back then too they were fighting the right. This was the genesis of what would be called the “Jagmohan Plot”. The preposterous theory that all the pandits left because Jagmohan told them to leave so that he can kill 1 lakh-to-1.5 lakh young Kashmiris. And the fact that EPW published it, lent it the credibility it craved. Credibility that is still shoved into Pandit face. 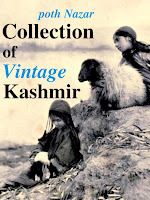 Interestingly, if today you search for the article, it is available at a Panun Kashmir website. At the website, since EPW is not attributed, the article appears as if it was published by Panun Kashmir. In the way internet works these days, even this can be used as a “credible” source, anyone can claim, ”even your own stupid organisation accepts Jagmohan theory…check this link [http://goo.gl/0YqXX5]”. 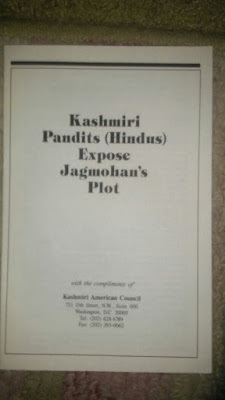 I am sure the threat letters to Pandits published in local Kashmiri papers were never discussed thread bare in the journal. And this fact is now used by right-wingers for their own appropriation of pandit narrative. Interestingly, the only other “credible” source of this theory is a paper published in Washington, DC, in 1990 by an organisation called Kashmir American Council run by Syed Ghulam Nabi Fai of ISI money fame and a cousin of Geelani of Hurriyat. 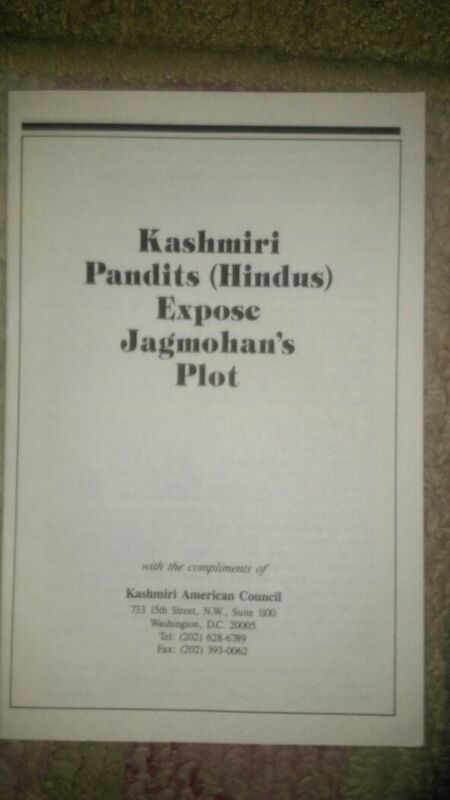 The paper was simply titled, “Kashmiri Pandits (Hindus) Expose Jagmohan's Plot” and had letter pieces titled “Runaway Pandits Confess”. I have a copy of that paper. More of that some other time. I am not suggesting that EPW article was an ISI plot. But, the anonymous person (I suspect Balraj Puri) who wrote it was certainly being a fool, if not a tool. In the ideological battle, both left and right would like to see pandit story in a particular convenient way, mend and bend the plot to please themselves, even if the plots sound childish, even if the sources are dubious. They know a war is on, and it has to be won at all cost, even if it means selling a bit of lies.